When people are getting their home built or any major renovation work done, they focus on various features such as the walls, textures and paint finishes, colors to be used and the styling of the furniture and décor etc. But many fail to take the flooring of the room into consideration while choosing materials or designs. The fact is that the flooring is a very important aspect of your home and like the walls, it becomes the backdrop of the other features and installations in your home. The wrong flooring material or poor installation can affect the overall ambiance of your home, and even the best furniture pieces and upholstery and artwork, rugs etc. can look dull and drab. We at Productive Quality Construction are a property maintenance and full-service construction company situated in Atlanta, GA. Over the years, we have built a very solid customer base here and cater to clients in and around the entire metro Atlanta area. As expert general construction contractors, we understand how important the right type of flooring is; and it’s why we are very particular in our approach to flooring installation. Whether we are handling a new build or remodeling project for you, our designers have detailed discussions with you on the type of flooring you want, the materials and patterns you like and more. They will also keep the overall aesthetic of your home in view while recommending flooring materials. Each one of these materials has certain characteristics and the setting it is to be used in becomes an important aspect in choosing the right one for the job. For example, materials such as laminate and vinyl may work very well in indoor spaces but will not be suitable for outdoor settings like patios or decks since these features are exposed to the elements. We source the best flooring materials of the best brands, from credible suppliers and our expert flooring installers make sure that the job is completed within the committed timeframe and pre-approved budget. 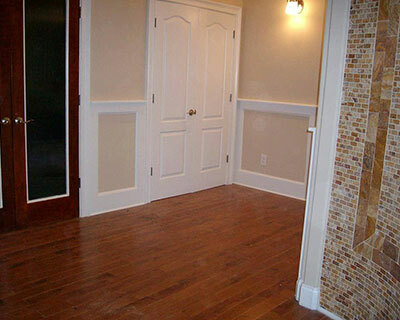 The objective is to make sure you get the type of flooring that will enhance the appeal and value of your home. If you are looking for high-quality, customized services, Productive Quality Construction is the company to contact. Feel free to call us on 770-217-7560 and discuss your project details with one of our experts. We provide end-to-end solutions at very cost-effective flooring cost.